As a makeup and hair stylists, we work to create a signature style that the modern bride will love, one that is fresh and enhances their natural beauty, but also is classic and will look beautiful in 10 or 20 years. 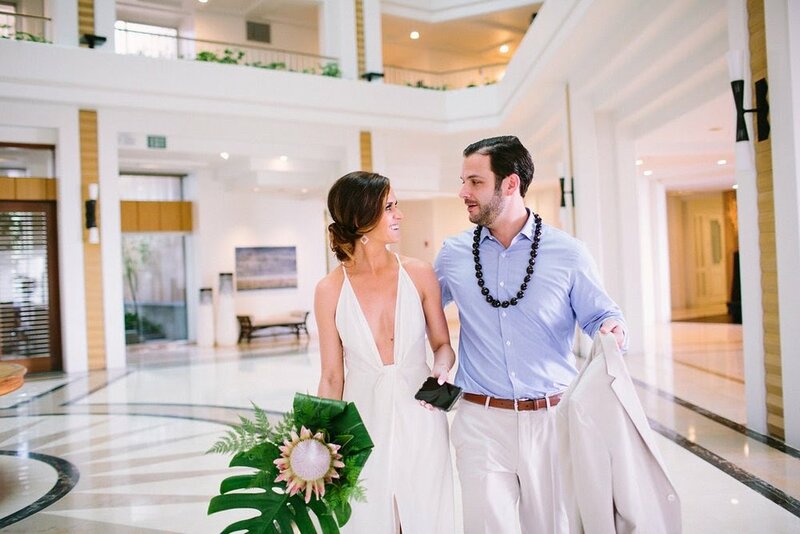 While we create a style for them according to their preference and style, one thing we know is that our brides are incredibly sophisticated and stylish. Our bride Lindsey is a fun, stylish bride who we absolutely loved working with. Not only because she was gorgeous and extremely sweet, but also because she has an impeccable sense of style. 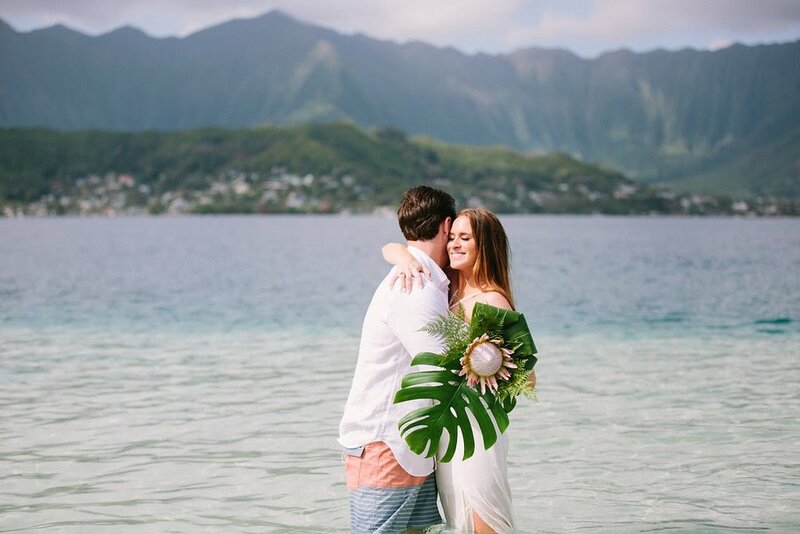 Lindsey had us create two different styles for her wedding; her first look for her beach elopement, and the second for their mountainside reception. One thing that worries every bride is whether their makeup and hair will hold throughout the day. Lindsey put our work to the test as she and her groom cooled off and jumped in the water and her makeup was 100% in tact. 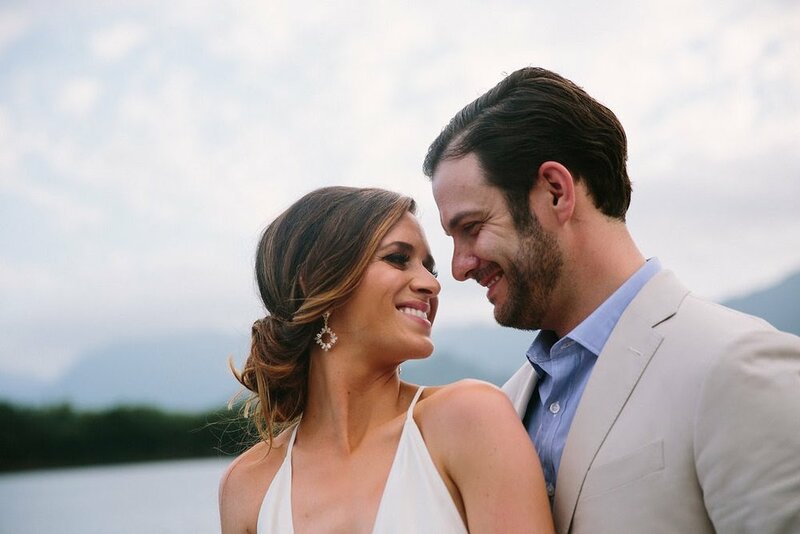 We created a bronzy, beauty look for Lindsey for her beach elopement. It was soft and relaxed; perfect for a day at the sandbar. Photography by Crystal Chanel Photography.